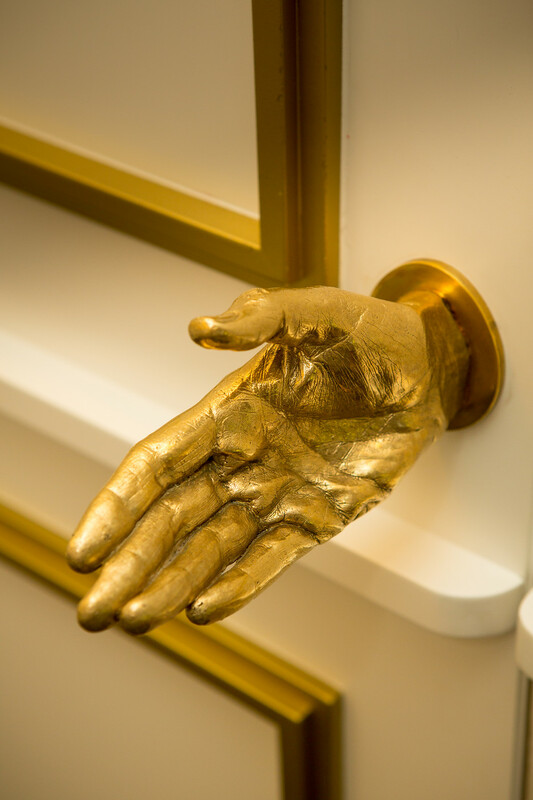 izé produced this unique gold ‘hand-le’ as part of the refurbishment of central London’s St Martins Lane hotel. 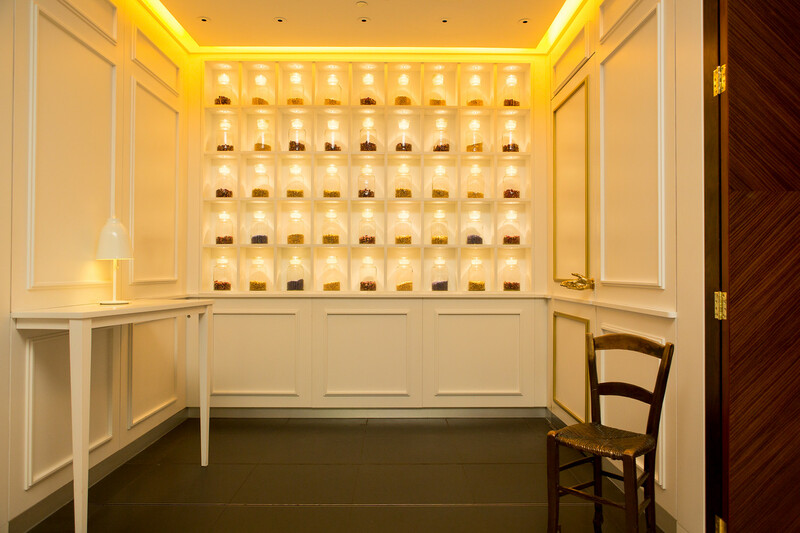 Architect Aukett Swanke , which coordinated the delivery of the interior design when the Philippe Starck designed botel was ready for a refresh, approached Izé with an unusual request. 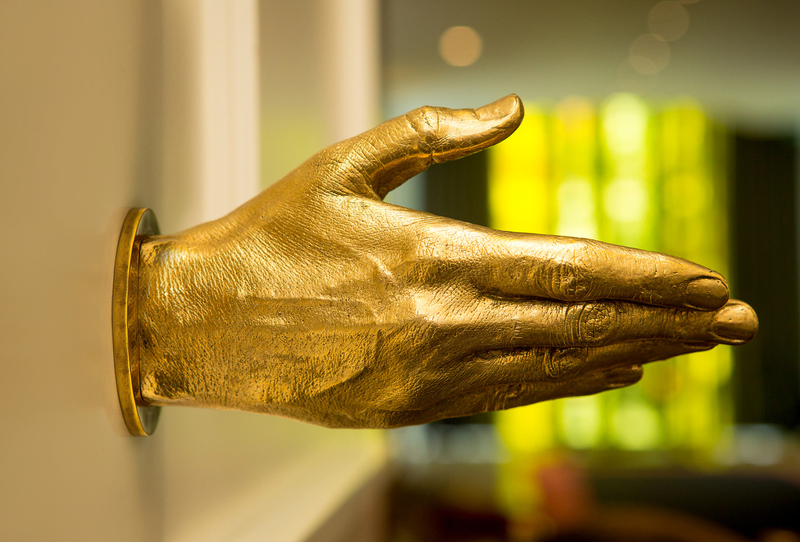 As part of the welcome to the hotel, it wanted a life-size human hand, held out in greeting. 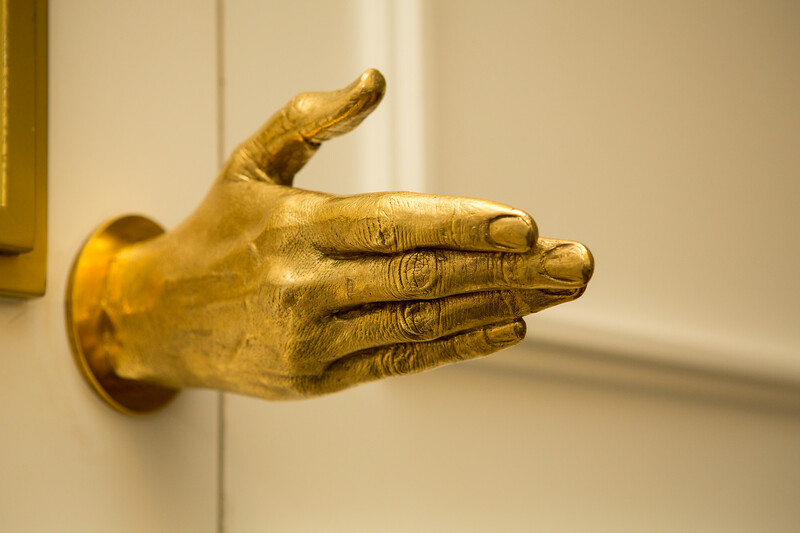 The hand, which is not strictly a handle, sits at the back of the tea room, next to the entrance to the ‘secret’ Blind Spot speakeasy late-night bar. It is both a gesture of welcome, and in some way deliberately discomforting. 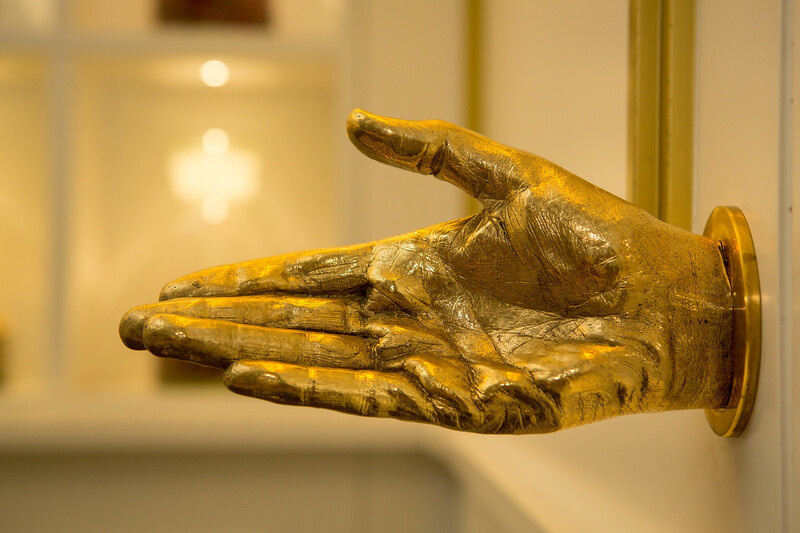 Made of brass and plated in real gold, the piece was cast in dental cement from the hand of a female member of the hospitality team working at the hotel. It has been made by the lost wax process and polished to a brilliant sheen. Dave Bradshaw, managing director of Izé, said, ‘This was an unusual and interesting project for us. We used our technical skills and our ability to source the best manufacturing techniques to make this unique and intriguing object. 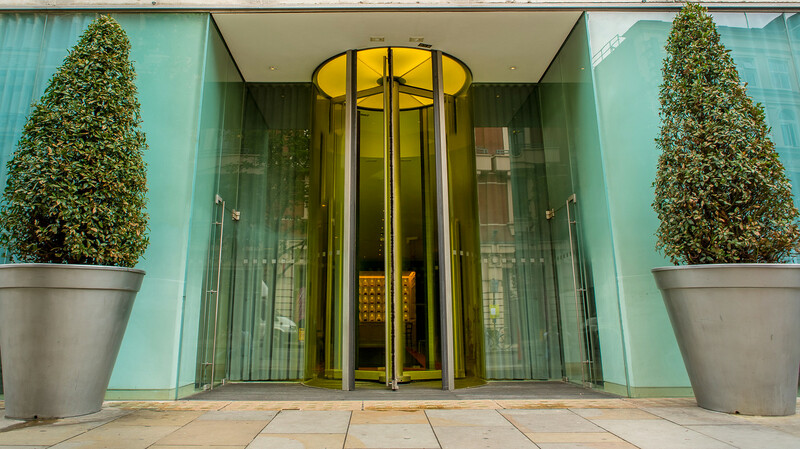 You have to hand it to the hotel – they have created a real talking point’.